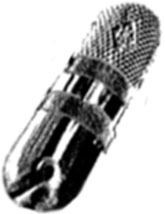 Audio Recording I: is an introductory audio production class. It is a 3 credit class that consists of a 3 quarter sequence for Fall, Winter and Spring quarters. The class is taught by Aaron Kruse, 360-867-6842. The class is on Thursdays, 6-9pm in L1540. Prerequisites: Faculty interview and signature; basic audio experience in audio recording or sound reinforcement. Students will learn the basics of audio and its application in modern media for television and audio studio recording and sound reinforcement productions. Here is a pdf file of the fall 2006 syllabus.